One part murder mystery, one part competitive card game - and all fun! 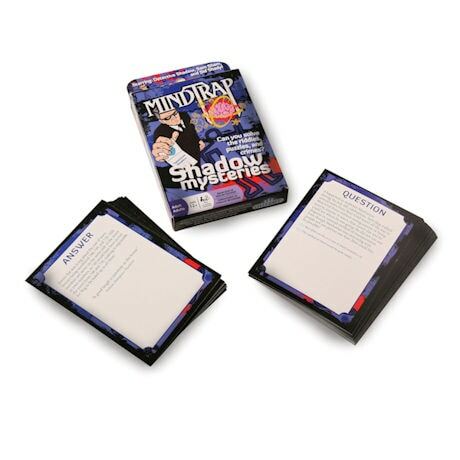 With our Shadow Mysteries Cards, you can pit your wits against your friends' powers of deduction, work together to solve the case, or play on your own to sharpen your sleuthing skills! Who stole the diamonds and stashed them in the bushes? How does Detective Shadow know an apparent suicide was actually a murder? How did Sam Slug walk across Manhattan without being seen by a single person? The devil really is in the details with these sixty-five curious conundrums! Ages 12 and up.